Increase operational efficiency, safety and sustainability through a comprehensive platform for EHS and Risk Management. The World Health Organization reports that an average of 2 million people are killed worldwide every year due to air pollution. Air is the elementary resource of life. To better protect and manage this precious resource for generations to come, effective monitoring of air quality is an integral and often difficult component of any air quality management plan. Traditionally, homegrown systems, standalone applications or even manual paper-based systems have been deployed to manage safety and quality processes at departmental levels at most of the companies involved with air quality. Such disparate point solutions are proving to be ineffective with the growing scale of operations and increasing regulatory and reporting requirements. 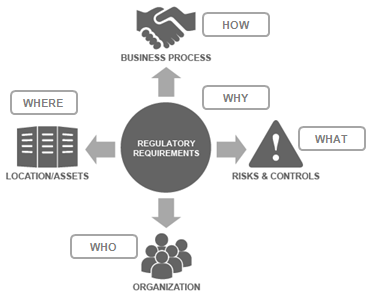 360factors provides a regulatory risk and compliance management software platform and advisory services designed to make NAAQS standards initiatives more effective and efficient through a simple yet effective regulatory risk and change management model and methodology. In managed services, you pay a flat fee to license the software along with our services. This provides you with a flexible technology that can be tailored to your company’s processes and organization. You can secure advisory services on a short and long term project basis. They will provide you with solutions that will manage your environmental and social performance, minimize risks and improve profitability. Our advisers and experts use Predict360, a regulatory risk and compliance software to streamline advisory services as a competitive differentiator. It vertically integrates all modules which allows organizations to manage their environmental, health and safety regulatory compliance and other compliance programs based on federal and state regulations through a single platform. Seamlessly integrated system which encompasses all areas of the organization to create a risk-based culture and along with its advanced analytical reporting capabilities for overall visibility into risk exposure. Streamlines the management of your corrective and preventive actions preventing you from obvious risks: penalties, fines, litigation and negative business impact. Automates all the safety controls and processes, recording and reporting of environmental, health and safety events within the system in one centralized resource across multiple sites to provide increased visibility across the enterprise. Uses a risk-based approach to manage, monitor and measure quality and compliance processes.